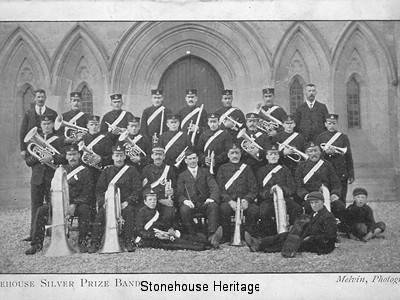 Stonehouse Silver Band was founded around 1901-1902. 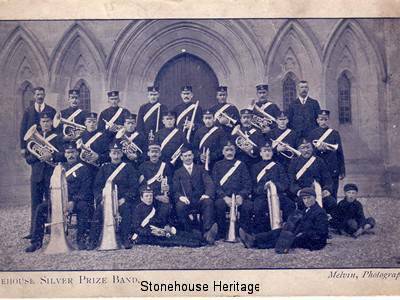 This band was also self-supporting and relied on subscriptions and fund raising events to raise money to buy music, instruments and uniforms. 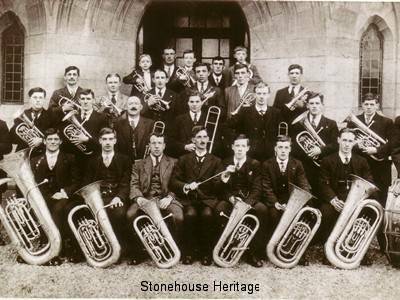 The early years of the band were spent giving local concerts and fund raising events. 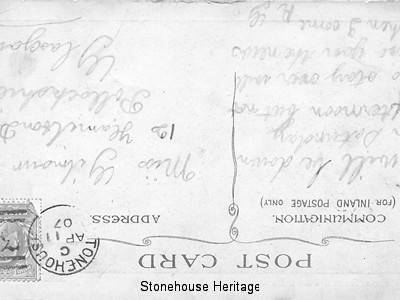 Throughout the war years they gave concerts for wounded soldiers in hospital and regularly played at the Palace Picture House and the Rex. 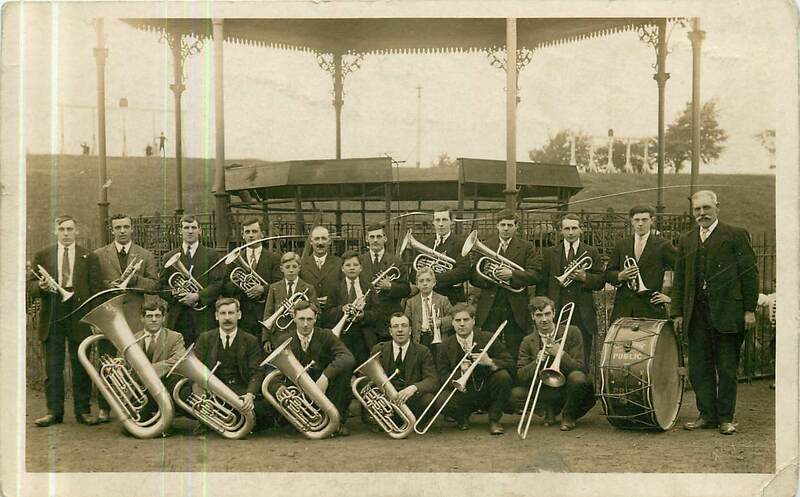 Also a competing band, they were very successful from 1919 and through the 1920’s. 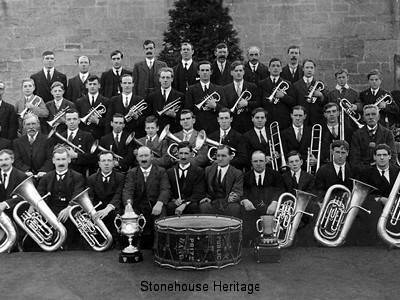 In 1919 they won the Scottish Championships and their trombone player James Chalmers was the British Empire Champion Trombonist. They had the reputation of being one of the best bands in Scotland throughout the 1920’s. Bob Chalmers led the band during this period. 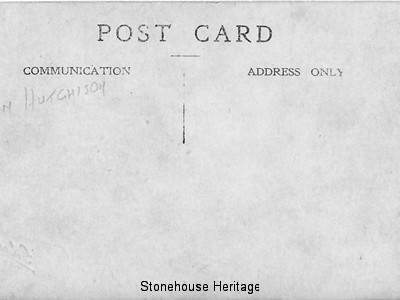 Some may also remember him as a regular correspondent in the Advertiser during the 1920’s under the pseudonym of ‘Couplaw’.In the thirties the band began to decline, probably due to the industrial depression, financial problems and a general lack of interest. 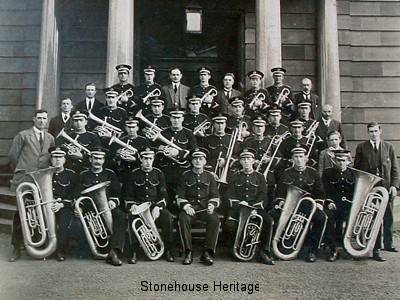 In 1936 a meeting was called which resulted in the bands demise.